Surve Talks New Tinmak3K Single & "Spreading Love"
Even though this is Surve’s first time out on a major label, he’s managed to make a name for himself amongst some of Hip Hop’s elite. And, he says, it’s thanks to his ability to keep things positive. 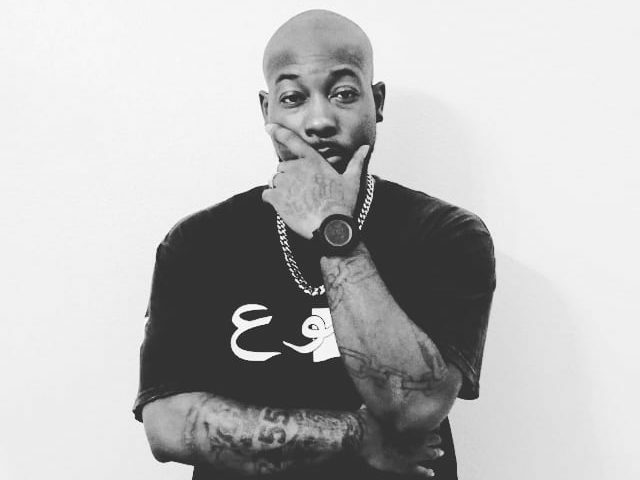 Surve, a Louisiana native, first came onto the Southern rap scene performing alongside Hurricane Chris, Lil Wayne, and Trill Entertainment’s artist Lil Boosie and Webbie, before connecting with Guin Records. In 2018, Surve hit one million streams on Spotify and Triumph’s kickoff track, “Going Home,” was released to critical acclaim in early November. Co-produced by Tinman3K and Guin Records co-founder Milan Kordestani, “Going Home” set the redemptive tone to the purposeful collection of songs on the new album and the visuals of the accompanying music video center on Surve and his hometown state. But it’s “Found My Way” that most speaks to Surve’s tragedy and triumph. In 2013, Surve was the victim of street violence due to disagreements and creative differences between himself and his rap group and, since the incident, he has spent the last five years working to create outreach programs that serve communities all over the world. Paired with Tinman3K’s smooth vocals, Surve’s gritty lyrical prowess on “Found My Way” takes listeners deeper into the violence of his past and how he managed to persevere and forge a new path for himself and his family through music. And it’s through “Found My Way” that Surve is hoping to convey his message of survival to aspiring rappers — and others — who think violence is the way out. Surve’s new album, Triumph, will be out on January 18th on Guin Records.